Apollonian Gasket, a fractal circle packing formed by packing smaller circles into each triangular gap formed by three larger circles. Area of the Mandelbrot set. 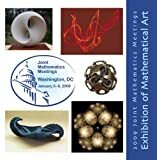 Penrose tilings, Newtoniteration convergence-domain fractals, Schlegel diagrams of four-dimensional polyhedra, and more. Extractions: Box counting software for the Macintosh and Linux. Ruler or Compass Dimension Recurrence plots I wonder whether fractal images are not touching the very structure of our brains. Is there a clue in the infinitely regressing character of such images that illuminates our perception of art? Could it be that a fractal image is of such extraordinary richness, that it is bound to resonate with our neuronal circuits and stimulate the pleasure I infer we all feel? The real world was full of larger structures, smaller structures, simpler and more complex structures than the tiny portion comprising sentient creatures and their societies, and it required a profound myopia of scale and similarity to believe that everything beyond this shallow layer could be ignored. A java applet which generates and displays your choice of 3dimensional fractal. Compatible with 3D glasses (optional). Written by Pete Gray. It generates 3-dimensional 'fractals' by superimposing polyhedra upon themselves recursively. Extractions: This is an extension of my wireframe applet. It generates 3-dimensional 'fractals' by superimposing polyhedra upon themselves recursively. You get to pick the polyhedron, the level of recursion, and the spaces between the individual polyhedrons. You can set the fractal spinning by dragging on it with your mouse and releasing. If you have 3D glasses, you can use those, too. Get a damn java enabled browser, would you? gently drag and release to start the model spinning window.onerror = null unit shape : tetrahedron pyramid sextahedron octahedron cube levels : DANGER!!! PLEASE increase levels gradually - see below.) Hint - spinning cubes look way cool with lots of separation. Use CAUTION when selecting how many levels of recursion you want. A recursive tetrahedron with 5 levels contains 1,536 lines, and 6 levels has 6,144 lines. A cube with only 4 levels also has 6,144 lines (if your browser can survive it, either of these looks wild spinning slowly (with tons of space for the cube, optional for the tetrahedron)). But BE CAREFUL! Shawn's mathematical gallery. Penrose tilings, Newtoniteration convergence-domainfractals, Schlegel diagrams of four-dimensional polyhedra, and more. Extractions: Fractals Apollonian Gasket , a fractal circle packing formed by packing smaller circles into each triangular gap formed by three larger circles. From MathWorld. Area of the Mandelbrot set . One can upper bound this area by filling the area around the set by disks, or lower bound it by counting pixels; strangely, Stan Isaacs notes, these two methods do not seem to give the same answer. Balanced ternary reptiles Cantor's hourglass reptile spiral reptile stretchtiles ... trisection of India , the three Bodhi problem , and other Fractal tilings by R. W. Gosper Circle fractal based on repeated placement of two equal tangent circles within each circle of the figure. One could also get something like this by inversion, starting with three mutually tangent circles, but then the circles at each level of the recursion wouldn't all stay the same size as each other. The Curlicue Fractal , Fergus C. Murray. The Dynamic Systems and Technology Project at Boston Univ. offers several Java applets and animations of fractals and iterated function systems. Expansions geometric pattern creation techniques by John S. Stokes III. 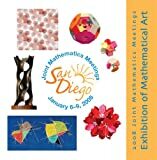 Mathartfun.com - Where Math, Art & Fun Come Together! performance tasks) Geometry Collage, Logic Advertisement, Tessellations, ScaleDrawings, Building polyhedra, and Line Designs; Paper entitled fractals. 1) Using mathematical methods to solve riddles 2) The idea of number 3)Objects in space polyhedra, fractals and fractional dimensions. Extractions: Mathematical ideas will introduce ways of thinking about things and ideas that may be new to you. The methods will NOT work for every type of problem in our lives, but ... in certain situatuions ... mathematical modes of thought prove very effective. The methods include reasoning and imagining. Imagination is used to ask questions, to understand questions, and to conceive of possible answers. Reasoning can then be used to test what we have imagined. (The first few weeks' assignments are given at the bottom of this page.) A list of the topics we will study: 3) general course description (from college catalog): An exploratory course in mathematics for the Liberal Arts student. Topics may include mathematical logic, algebra of sets, Boolean algebra, permutations and combinations, probability, statistics, transfinite and finite numbers, bases other than 10, group theory, history of mathematics, puzzles and paradoxes, the mathematics of finance, or others chosen by the instructor. and VRMLArts by V.Bulatov Look at Fractal polyhedra with interactive Java 1.1 applet,if you didn't install a VRML plugin yet. Kepler's (Stellated) fractals. games, and activities for teachers and students. Topics include polyhedra, fractals, probabilty and statistics, etc. Extractions: Your JeffcoNet Location is: Home Instructional Services Math Online Classroom Activities ... Teacher References Updated 10/7/02 Online Classroom Activities Description Grade Level Go Math.com Online Help Students of algebra, geometry, physics, chemistry, and those studying for the SAT will find this site very helpful. K -12 Online Metric Converter What do you need to convert? Weight, measurements, temperature, speed, area, length... This site offers a handy little online conversion tool for these and other units, with instant conversions available. K - 12 Fun Mathematics Lessons This site by Cynthia Lanius and Rice University offers interesting on-line mathematics problems and activities. It is well worth looking into it for children of all ages. K - 12 Michigan's Teacher's Network Access a world of math sites by topic. An extensive list, you'll find resources you never dreamed existed. K - 12 AOL@school Visit the School Wide Web. Activities for students and teachers. Includes homework helper sites and other resources. K - 12 The World of Trotter Math This site offers lessons, games and classroom activities for elementary and middle school math topics. Unlike the well known Lsystems fractals, this algorithm does not need a rathercomplicated string parser and 3D turtle for its Fractal Trees and polyhedra. polyhedra. polyhedra Tiling Symmetry fractals General Interest. polyhedra,by Peter R. Cromwell. Build Your Own polyhedra, by Peter Hilton, Jean Pedersen.